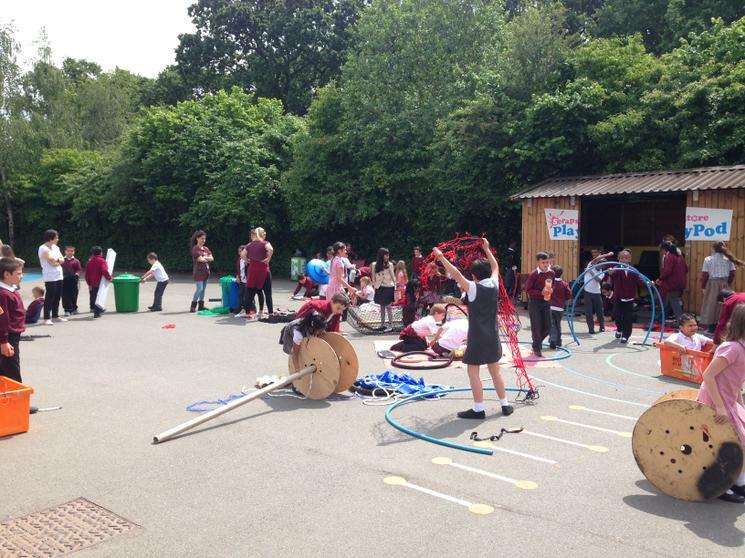 At Ainslie Wood we have had a very exciting few weeks, with great developments in the playground! 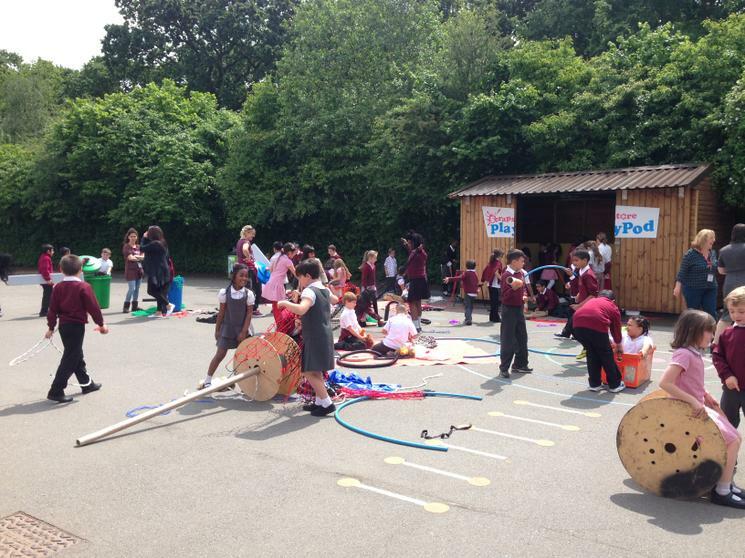 On Monday 2nd June, we were very proud to announce the opening of our very own Scrapstore PlayPod®. You may have seen the large shed that has been in Red Quad playground for the past half term. It contains a mass of unwanted, unrecyclable scrap that the children have been using at lunchtimes, as part of their creative play. 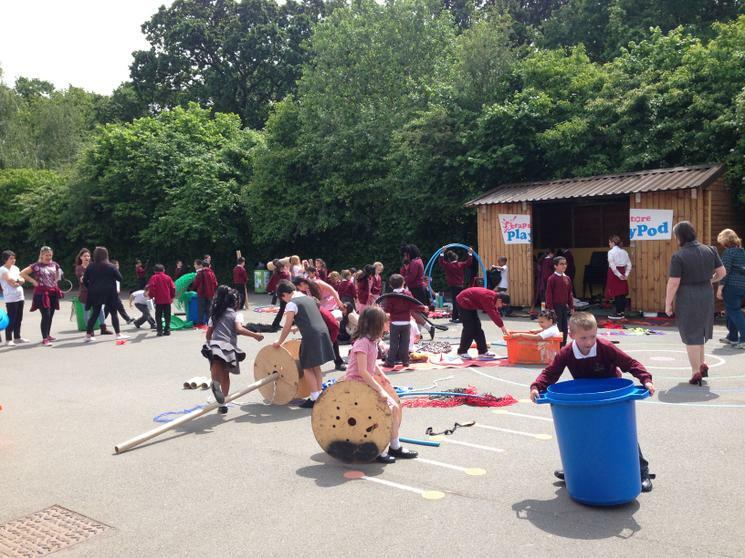 The children have thoroughly enjoyed engaging with the resources and the Scrapstore PlayPod® has created a real buzz in the playground! The midday supervisors have all had extensive training around how to support children’s play and children are engaged and occupied at lunchtime. We very much hope that your children have spoken to you about their new lunchtime equipment and that they have been enthused by what is a really worthwhile project.